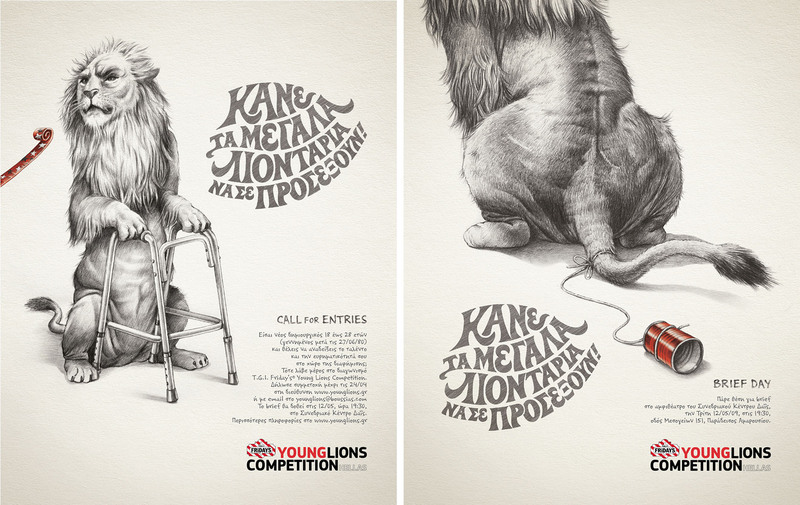 The Young Lions print campaign for 2009 was based on the idea of attracting the attention of the “elderly lions” of the advertising world. 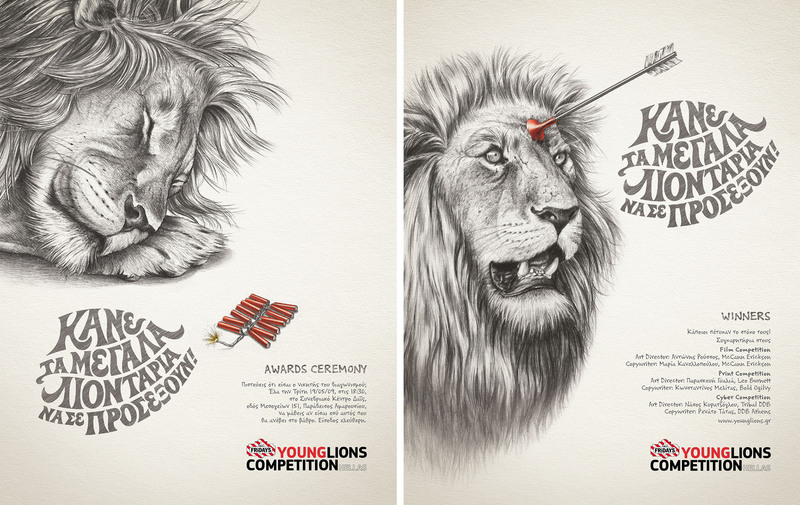 The theme was carried through in the various executions needed for all the phases of the campaign. 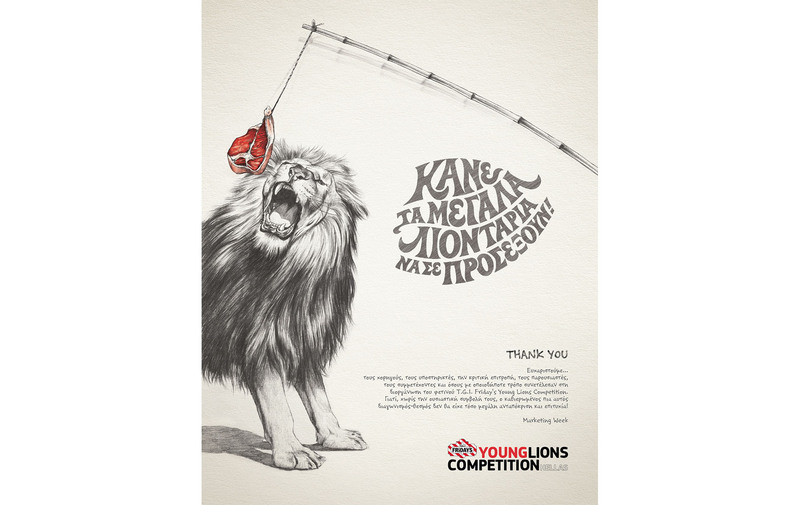 The print ads “brief day”, “award ceremony” and “call for entries” were awarded a silver Ermis as a series of ads, while “call for entries” also won a bronze Ermis as an individual print ad.